How to start Visual Studio Command Prompt? I have Visual Studio 2017 Community version with Visual C++ environment installed. 1. 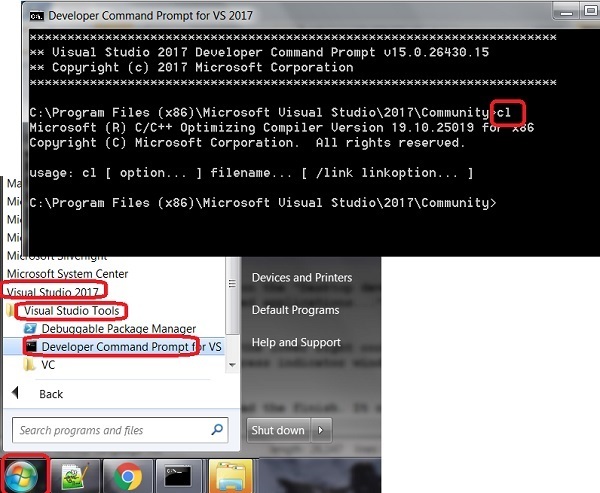 Run "All Programs > Visual Studio 2017 > Visual Studio Tools > Developer Command Prompt for VS 2017". You see the Visual Studio Command Prompt window. Now you are ready to run Visual Studio command tools.